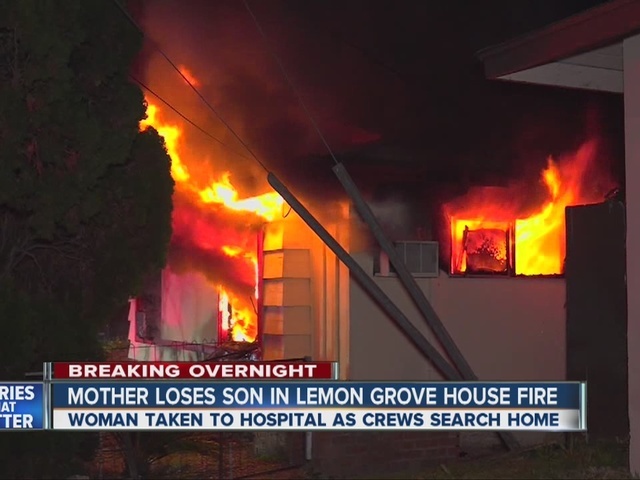 An investigation was underway Friday into the cause of an overnight house fire in Lemon Grove that killed a 63-year-old man, sent his 90-year-old mother to a hospital, and caused around $300,000 in damage. The single-story home on Costada Court near La Puerta Place went up in flames for unknown reasons around midnight, according to Heartland Fire & Rescue. Firefighters had the blaze contained in about 10 minutes and kept it from spreading to neighboring homes. 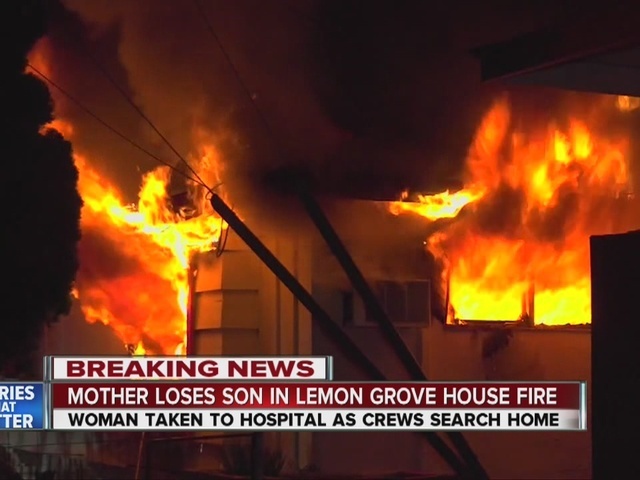 The elderly woman who lived in the home was able to escape the flames, but her son couldn't make it out. 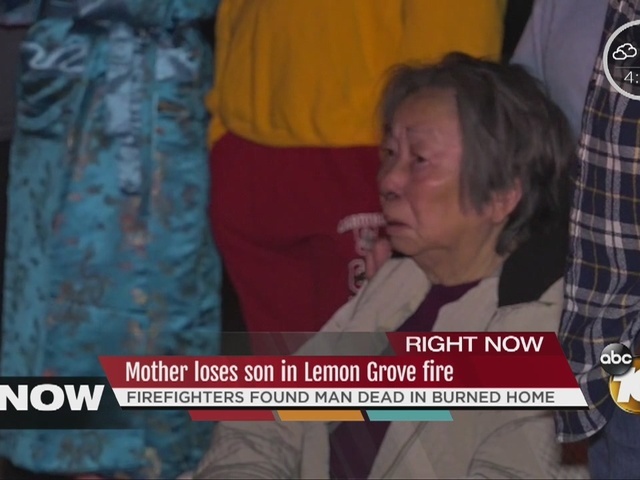 His body was later found inside, Heartland Fire & Rescue spokesman Sonny Saghera said. The woman was taken to a hospital to be treated for smoke inhalation, according to sheriff's Lt. Russell Shimmin. The sheriff's department's Bomb/Arson Unit was working to determine what caused the fire, authorities said. Saghera said the fire caused about $300,000 in damage to the home and its contents.